I recently read Of Stillness and Storm by Michele Phoenix and I loved it. 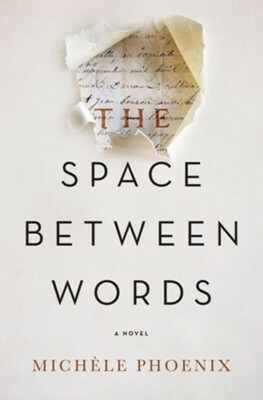 When I had the chance to read and review The Space Between Words, I was excited to try out another book from the author. This one was much different from the other, but still interesting. This book tells the story of a woman who is injured in a terrorist attack and the journey that she sets out on as she is moving on from that. This is a book that looks at history in a new way, as the woman in the story learns about a people from the past. Those who are interested in history will find this book especially enjoyable. This book shares a part of history that I do not remember reading before. The characters in this book are likable. The story in this book is interesting. This book kept my attention throughout the whole thing. There is a bit of a hopeful message in this book. There are some weird elements in this book. Things that I would call "new age". I was thrown off by those. There is not as much of a Christian message in this book as I was hoping to find. Overall, I thought that this book was interesting but a bit weird. I give The Space Between Words 4 out of 5 stars.